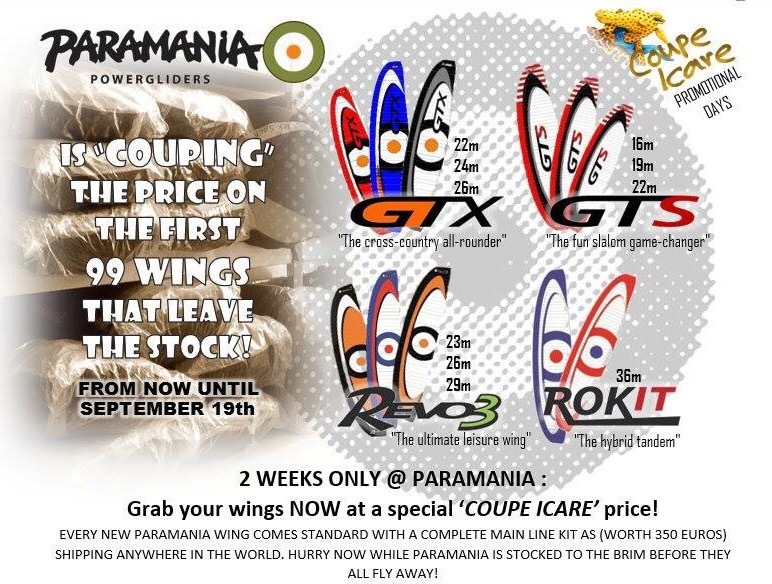 The Parabatix Sky Racers are back! 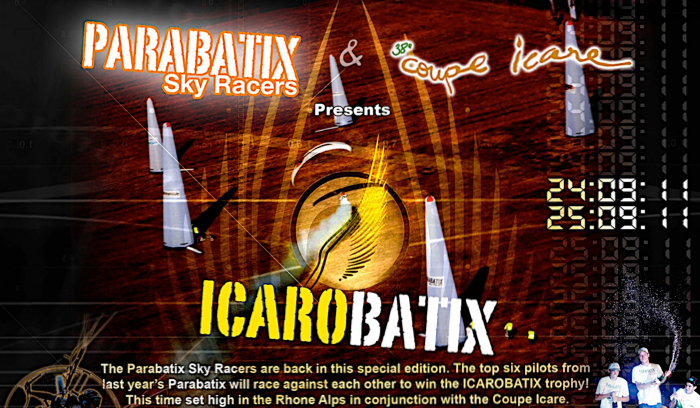 For a special edition of Parabatix called Icarobatix that will be held high in the Rhone Alps in association with the largest free flight festival in the world ‘The Coupe Icare‘ an event that attracts around 30,000 people over the weekend. Six of the highest placed Sky Racers will battle it out in a two day Sky Race for the Icare trophy! So come and watch this spectacular aerial extravaganza Friday (warm up), Saturday & Sunday mornings (10:30am to 12:30pm) at the top take off of St Hilaire. 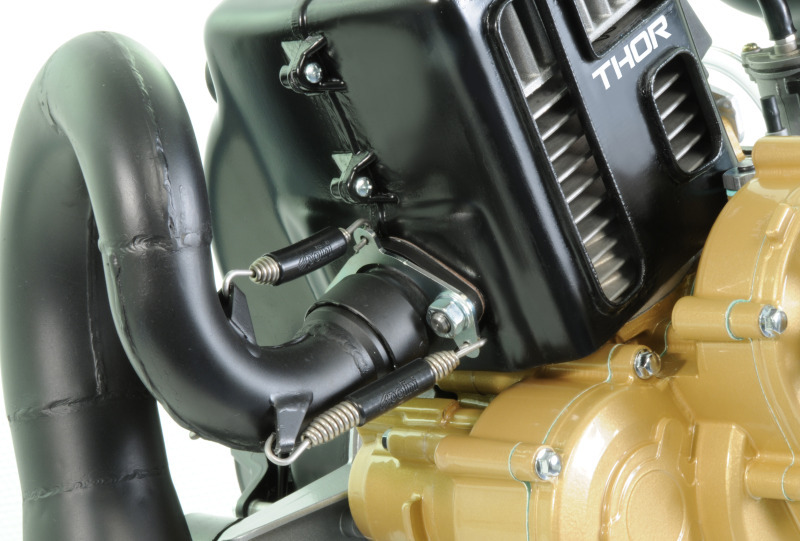 Polini Thor 200cc – Paramotor Engine Coming soon. After the great success of the famous THOR 100cc paramotor engine, Polini hasn’t stopped its creativity and he is ready to present the new THOR 200cc engine. It’s a 2 stroke compact and light engine, designed to meet so many requests coming from people who love this sport, anxious to use a new propulsor with more performing features, faster and more reliable. THOR 200 is a concentrate of technology; it uses the best technical solutions to grant safety and reliability being also easy to start thanks to the new Flash Starter system. Polini will present in preview the brand new THOR 200cc paramotor at the “Coupe Icare Expo 2011” the most important show for the paragliding market, in program at Sain Hilaire du Touvet, Rhone Alpes French department, from September 22nd to 25th. You are welcome to discover the new THOR 200 !